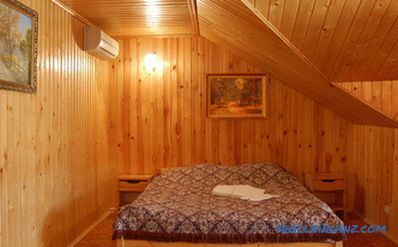 Wall paneling is a very common lining material, widely used for wall decoration inside and outside rooms, balconies, loggias, and ceilings. This material is made of wood and plastic. 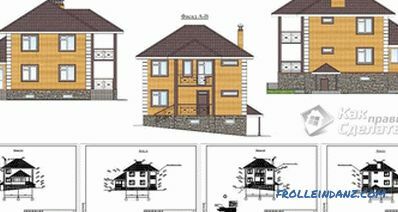 Lining is widely used for interior decoration both inside and outside. During the finishing work, the lining can be fixed to the wall in different ways. 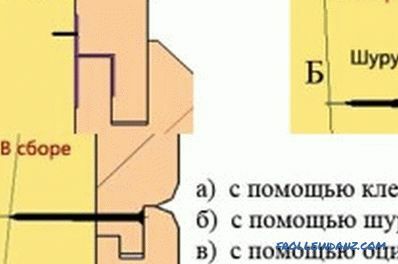 Common to all methods is the presence of crates, which is a supporting structure on which the lining bars are mounted. For fixing this construction on the wall, wooden bars or special galvanized metal profiles are used. The lathing allows to obtain a small gap between the surface of the wall and the lining material. It can be used simply as natural ventilation, or you can fill these empty spaces with thermal insulating material. The batten layout for mounting the wall paneling. Wooden bars are required for the cladding for clapboard. 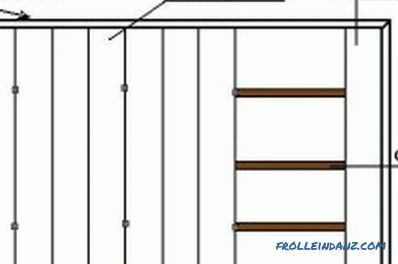 In the prepared bars, you need to drill holes with a pitch of 50-70 cm. Their diameter should be 1-1.5 mm smaller than the diameter of the self-tapping screws. 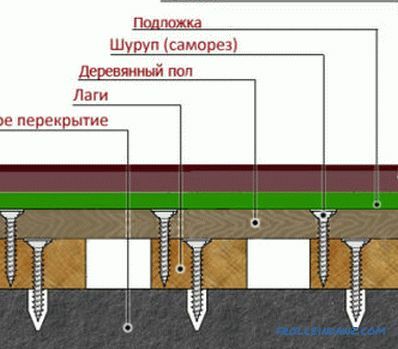 The slats are applied to the surface of the wall and through the drilled holes are marked drilling points on the wall. We need to decide how to fix the wall paneling. If it is planned to be placed horizontally, the crate will be vertical. With a vertical arrangement of boards cladding bars obreshetki installed horizontally. The distance between the parts of the batten depends largely on the length of the lining boards. On average, it is 70 cm. Holes are drilled into the wall into which the dowels are inserted. Attached elements of the crates. The accuracy of their installation is controlled by level. If necessary, a lining of plywood or other material of suitable thickness is placed under the rail. 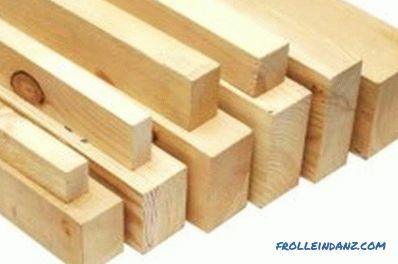 It is possible to use special wedges for leveling, which are sold in building materials stores. It is easy to make such wedges on your own from scraps of wood. Layout of types of fixing lining. The wall panel can be fixed to the wall in several ways. To perform this procedure, nails, decorative screws, staples from the stapler and specially designed fastening clamps are used for this purpose. The easiest fastening method is to use nails. They are driven at an angle of about 45 ° into the edge of the groove. The caps are closed with the spike of the next lining. 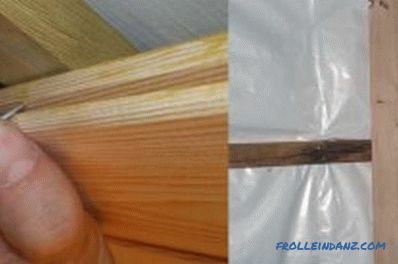 To finish nails, a special doboin box is needed, which protects the front side of the material from careless hammer blows and from splitting wood. Klyymery invisible from the side, they do not cause any harm to the finishing material. Such grips are made of galvanized tin. Their size and shape may differ from each other. Klyaymery fit under the thickness of a specific size of the wall panel and its grooves. They are inserted into the groove of the facing board and fastened to the element of the batten with screws, small screws or nails. Kleimer completely closed the next panel. When installing thin wall paneling, use small fasteners. When the trim strips are too small, use small-size fastening screws. 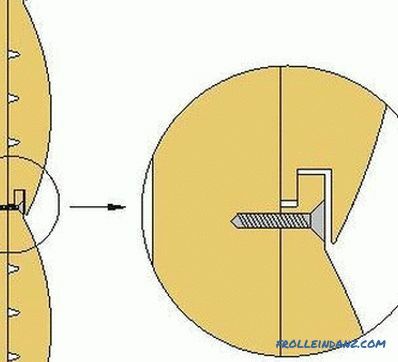 Holes for them are recommended to pre-drill a few smaller diameter drill. This will prevent the panel from cracking. Sometimes for fixing lining use brackets that are clogged with a stapler. This method is mainly used for fastening plastic lining. In this case, you need to make sure that the bracket firmly attached the material to the crate, but did not split its edge. The last way is to fasten with screws with a decorative hat. The method requires special care, as the screws are screwed through the previously drilled front side.Hats remain in plain sight, therefore it is very difficult, sometimes impossible, to conceal a possible marriage in work. After the final installation and leveling of the batten, they proceed to the installation of the wall panel, which must lie in the room for several days for adaptation in the unpacked form. 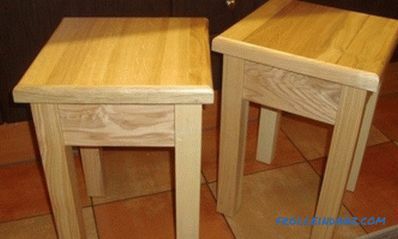 Billets are stacked on a workbench or on another stable surface. The front side of the board should be directed upwards. For the formation of angles of 90 ° and 45 ° it is better to use a shell. If it is conceived to install the wall panel vertically, then the work should be started from the corner. The spike board goes to the corner. It is aligned with the level and nailed to the rails of the batten without caps, which are hammered into the front part of the surface of the board. The next board spiked into the groove of the previous strip. With light strokes, it fits to it as tightly as possible and is attached to the crate. After finishing the entire planned surface, the inside and outside corners, the gaps between the floor and the wall, between the ceiling and the wall are trimmed with baseboards of various designs, with special figured slats of different shapes. 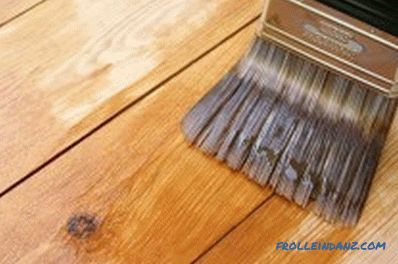 After installing the wall panel, you can apply varnish on it to make it more attractive. 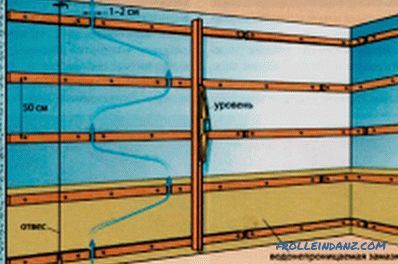 The installation of the wall panel should be carried out at a temperature not lower than + 5 °. The horizontal positioning of the wall panel visually expands the room, the vertical position narrows it, but it increases the height. After the walls are completely finished, their surface can be coated with stain and varnish. After the installation of heat-insulating material between the elements of the batten, the entire structure should be covered with a moisture-proof film. It is fastened with staples to the crate with an overlap of individual webs of about 10-15 cm. It is recommended to glue additional joints with adhesive tape. If a special vapor-proof and moisture-proof film is used, then it is laid with the rough side to the insulating layer. When working in the locations of sockets and switches, they must be de-energized and removed from the wall. A hole is drilled in the board of the wall panel for electrical wiring. 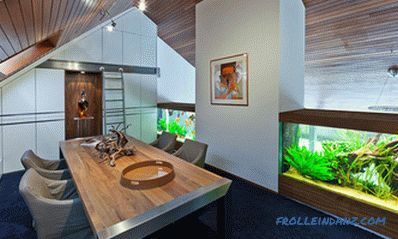 Lining from any softwood is suitable for interior and exterior wall decoration. Hardwood species are used only indoors. 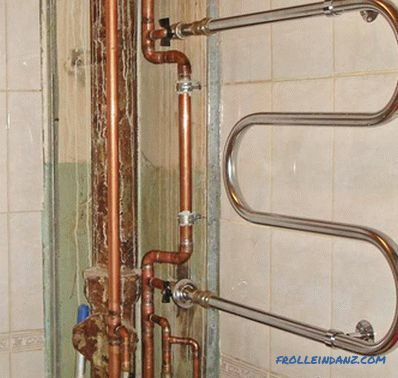 It is better to finish the bathroom, kitchen, toilet, balcony with plastic materials. For the bedroom, living room and hallway more suitable tree. For horizontal mounting, the spike should face upwards. Such an arrangement will not allow moisture to accumulate in the slots, which will prolong the life of the lining. Wooden and plastic clapboard wall decoration is a practical way to give an attractive appearance to rooms, balconies, and loggias. Lining from the usual finishing wood material is of higher quality. It is treated with antiseptic formulations to protect against mold and insects. There are several ways to fix a wall panel to a wall. Is it possible to put laminate on wooden floor? 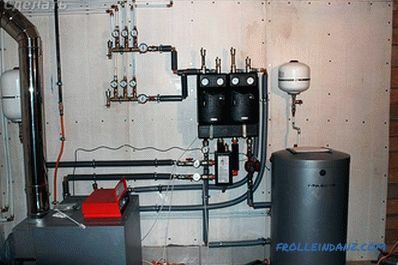 It is possible, but you need to carefully follow the technology and know some of the tricks of this installation. And most importantly, properly prepare the old floor for installation.